The secret is to never lose sight of the simple, everyday miracles in life - good food, laughter, music, art, and compelling conversations. This Boho inspired bridal brunch really was unlike any other we had seen before. 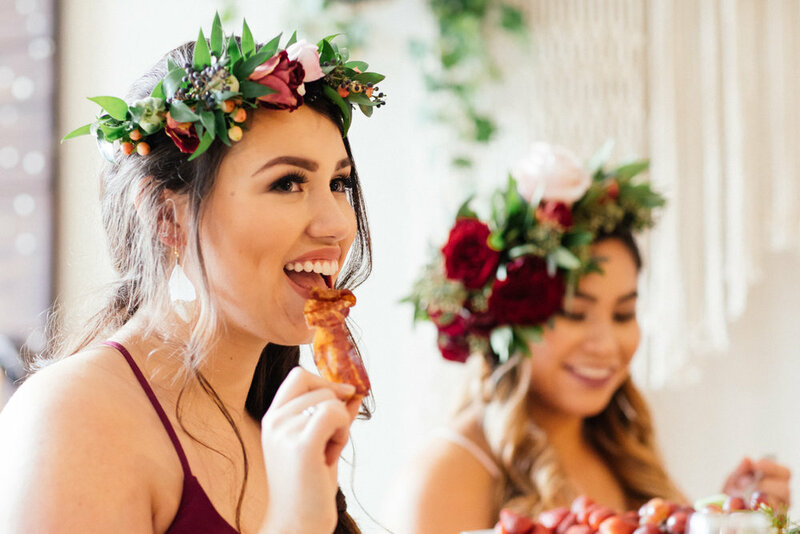 From delectable food and decorations to multiple wardrobe changes and the loveliest of flower crowns. The room was filled with energy and a full range of emotions as the bride's "girl gang" gave her all of their love, encouragement, and wishes for the next stage of her life. Oh, and did we mention the most adorable puppy joined the celebration? Capturing the emotions of the day was a great reminder that the simplest of moments can bring the greatest joy. So let's raise our glasses and cheers the beautiful bride and her courageous girl gang.